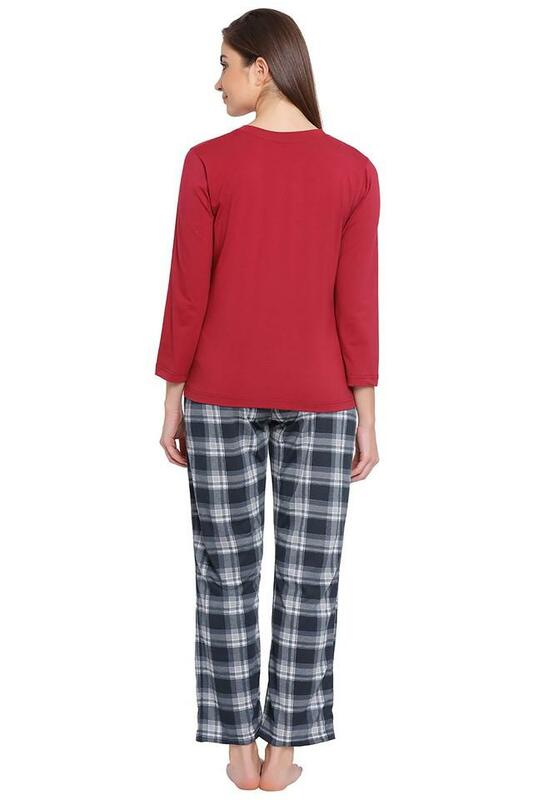 Embrace your inner rebel chic as you wear this top and pyjama set from Clovia. Made from poly cotton fabric, it will provide you with immense comfort throughout. 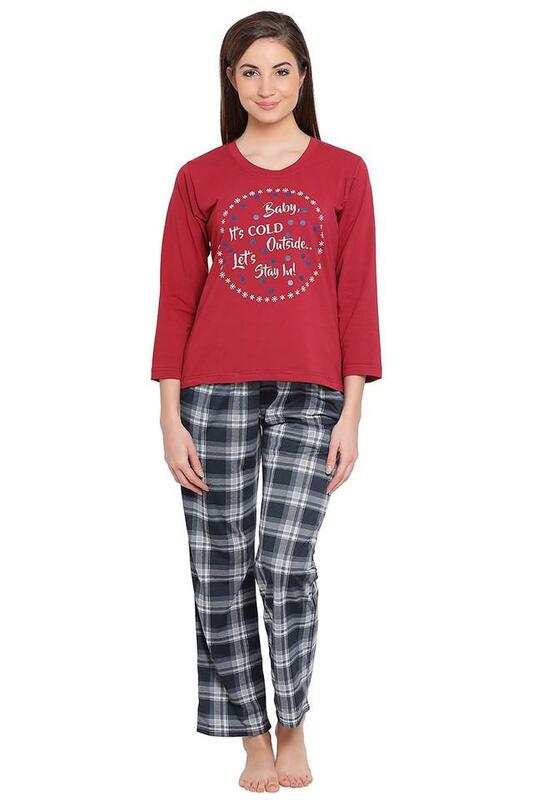 The top comes with a round neck, graphic print and full sleeves, while the pair of pyjama is featuring a checked pattern, which makes it comfier. This top and pyjama set will be a suitable pick for you to wear while you head to sleep. 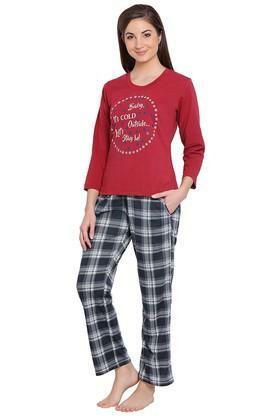 You can also wear it during your leisure time at home.